As you can probably tell by now, I love good dupes/affordable alternatives to luxury products. It is so satisfying to find a budget-friendly version that actually works! Today I wanted to chat about my latest candle find. If you’ve been reading my blog for a while, you’ll have seen my previous Bath And Body Works Candle Dupe blog post, where I first discovered the Essence candles that B&M sell. My new find is also from Essence, and this scented candle is called ‘Cinnamon Sugared Doughnut’. I’d love to be able to buy real Bath And Body Works candles as they have so many amazing scents and product lines, but here in the UK it is just too tricky to get hold of – you could end up paying a fortune for shipping if you buy from the US where they are stocked. So finding a good dupe is amazing! This cost £3.99 and has 2 wicks for an even burn. We have to talk about how amazing this candle smells. The scent is genuinely how it is in the name – it smells like fresh, hot doughnuts. It really reminds ms of Christmas markets and autumn, like the scent of sweet churros and you can really smell the sugar. But somehow, it still doesn’t smell sickly or too sweet! 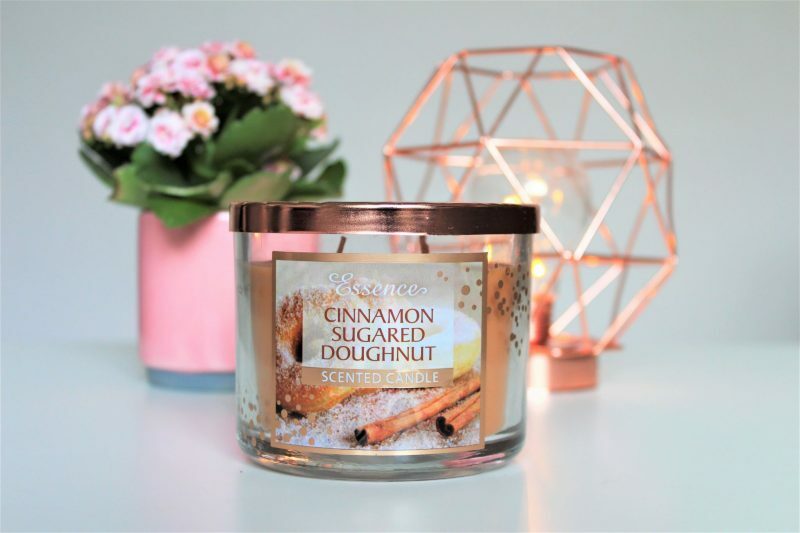 I’m sure how they even get away with giving the candle exactly the same name as the original Bath And Body Works version but seeing as they don’t sell here in the UK, it is the perfect budget dupe. I am so excited to burn this through the Autumn and Winter, it smells cosy and festive. 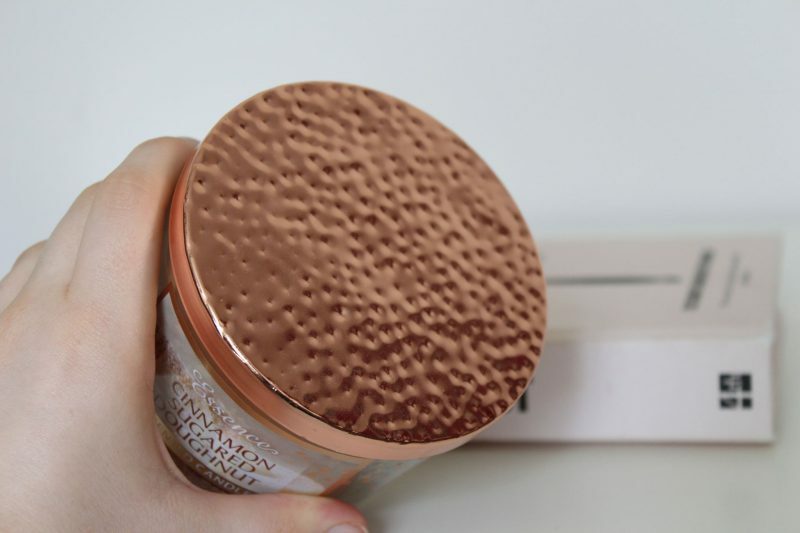 The lid has this beautiful embossed, copper pattern which just looks so much more expensive than it was. These jar candles last such a long time, meaning the value you get for your money is brilliant! Have you tried these B&M candles? Previous Post 5 Series On Netflix You Need To Watch! Wow that really does look EXACTLY like bath and body works candles! I’d for sure try it, I love bath and body works candles but I only buy them when they’re on sale so this is a perfect dupe!!! Good find!